Online training option is also available. Get hands on experience on various demanding tools and technologies of industry. Comprehensive interview preparations with close to 1200 frequently asked interview question & answers. Expert guidance on effective resume building. Training provided by highly experienced IT professionals. Get complete career guidance and job placement assistance with our unique Mentorship Program. Personalized mentoring, career guidance, and assessment to each individual for optimum career growth. 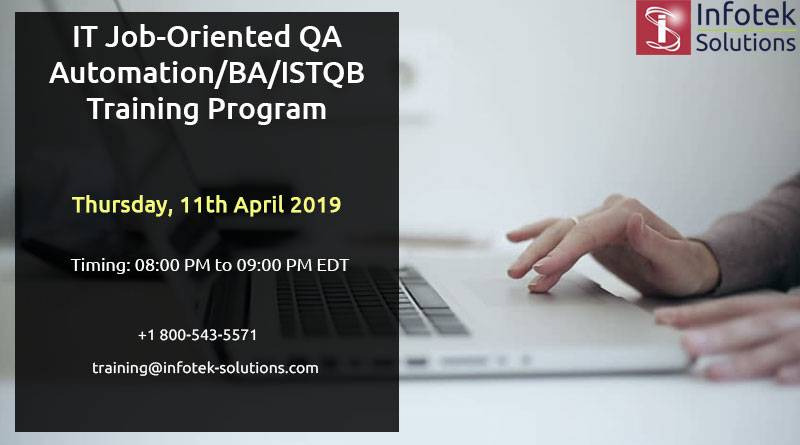 ISTQB certification for global recognition. 24*7 remote accesses to courses, projects, quizzes, test papers, QA forums and various web related skills.